Vitamin C is an antioxidant, used to treat and prevent changes associated with sun related ageing and hyperpigmentation. 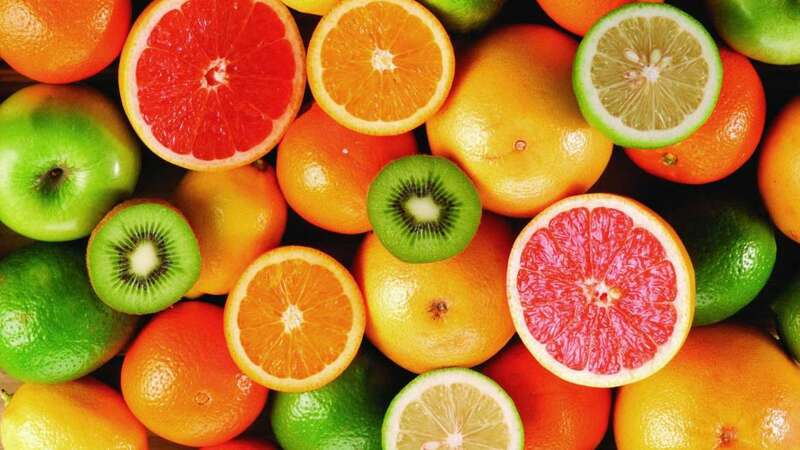 Vitamin C is one of the naturally occurring antioxidants in nature. Plants can manufacturen Vit C but humans cannot, therefore, we must consume citrus fruits, green leafy vegetables, strawberries, papaya and broccoli to get our daily quota of Vit C.
Vit. C, is the most abundant antioxidant in human skin, protecting the skin from certain chemicals called ‘reactive oxygen species’ and thus preventing oxidative injury to the skin. Exposure to UV light generates these reactive chemicals which then start a reaction damaging our cells, causing inflammation and making the skin old and leathery. These chemicals damage DNA, the cell membrane and the cellular proteins, including collagen. Vit. C protects us from both UVB (290-320 nm) and UVA (320-400 nm). UVA causes skin ageing while UVB causes sunburn and skin cancer. Sunscreens prevent sunburn, but stop only 55% of these ‘reactive oxygen species’ produced by sun exposure. We have seen in research that, 10% Vit. C showed statistical reduction of UVB-induced erythema by 52% and sunburn by 40-60%. 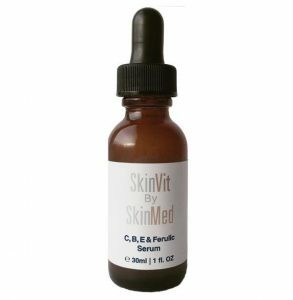 A combination of 0.5% ferulic acid with 15% Vit. C and 1% Vit.E can increase the efficacy of Vit. C eight-fold making this combination a super drug for the reduction of acute and chronic photodamage. Vit. C is essential for stabilizing and cross-linking the collagen molecules thus improving skin quality. Vit. C stops the synthesis of melanin which pigments our skin. 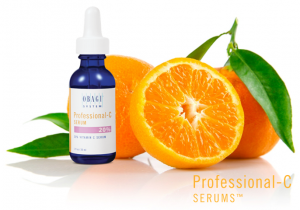 Often it is combined with other depigmenting agents as part of a protocol for a greater effect and is used for prevention and treatment of post-inflammatory hyperpigmentation. Vit. C is available in the market as a variety of creams and serums but it is a highly unstable agent and therefore the brand does matter! It’s effectiveness depends on manufacture, storage, packing and the correct use. It is usually safe to use for extended periods of time and can be combined with sunscreens, tretinoin, other antioxidants and alfa hydroxy acids such as glycolic acid. Some people report stinging, redness and dryness which are usually treated using a moisturizer. Serious side effects such as urticaria and reactions have also been reported but are extremely rare. It is usually a very safe product to use. 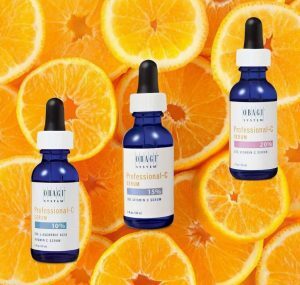 At Beautyworks we stock a range of Vitamin C products from leading brands such as Alumier, Obagi and Skinmed. You are welcome to come in for any enquiries and pick up your supply of this super potion!